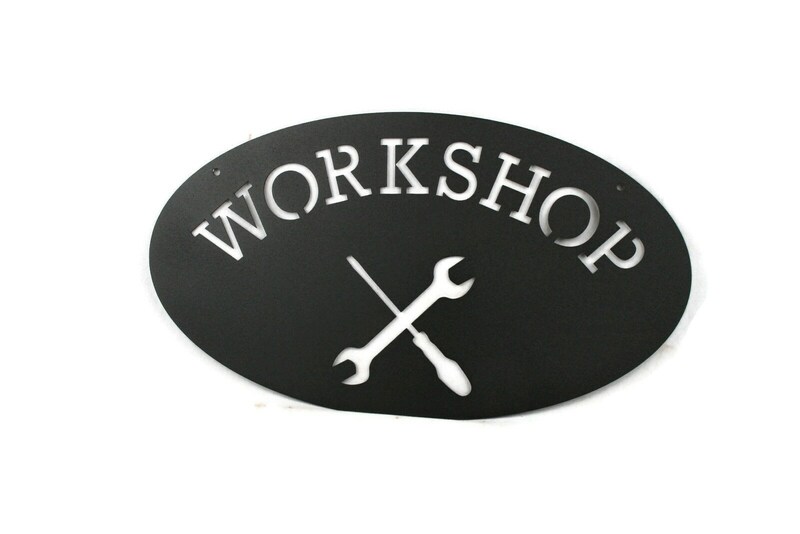 Metal Workshop Sign is great for the shop, the man cave or the garage! 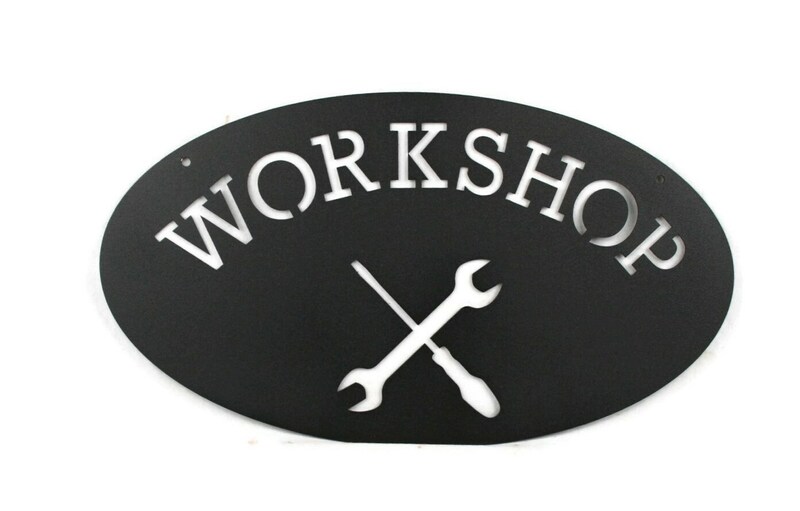 This handyman sign is cut from steel about as thick as a penny. 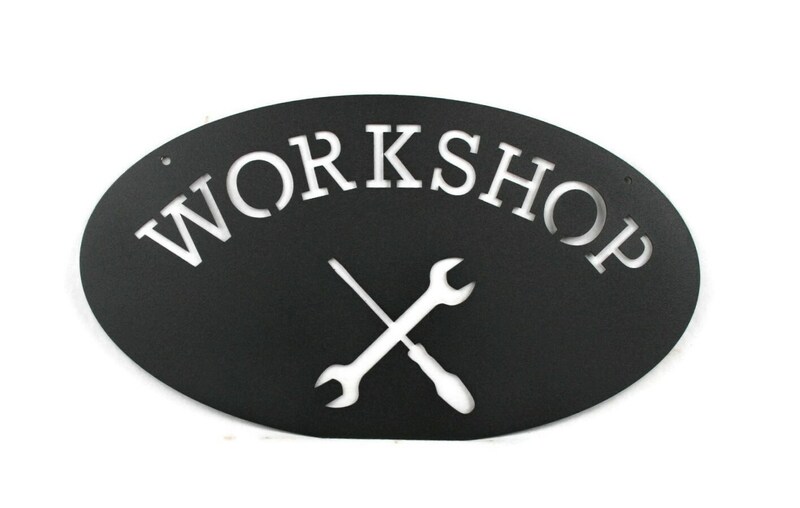 It's coated with durable powder coat in a variety of colors. This piece will last the test of time indoors or out! Sign is 18" wide and 10" tall. 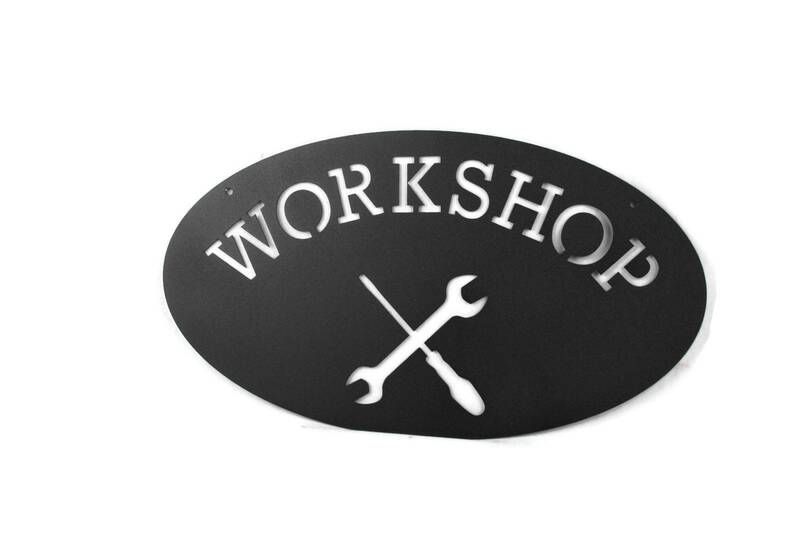 Makes a great gift for anything from housewarming to birthday to Father's Day!